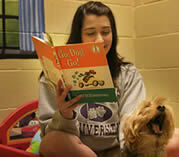 Pawtropolis has lots of ways to pamper your pets while they stay with us. From bedtime stories to massages, we've got you covered. Frosty Treat: Especially good for the hot summer months, frosty treats are ice cream like desserts that the dogs love. Fill-a-kong: What dog doesn't like peanut butter? We stuff an appropriate sized Kong toy with peanut butter, giving them a yummy treat and a stimulating activity while in their room. A favorite among the dogs! Once everybody is in bed and the staff are ready to turn off the lights, someone will do a last minute tuck-in and goodnight kiss. Any special goodies the owners wants given can be done at this time too. Just a little extra attention right before bed. Quality Time is just t hat; special one-on-one time (a minimum of 10 minutes) with an animal caretaker. For most dogs this is simply sitting on the floor with them, providing lots of tummy rubs and kisses, for others, it could be a bedtime story (a previous popular perk) or a nice relaxing massage. This is a wonderful add-on for dogs that thrive on human attention and want more than the usual pets and check-ins throughout the day. This is great for the really furry dogs and cats are have problems with shedding or matting. A caretaker will spend 15-minutes doing a good brush-out. The pets enjoy the special attention as well. Add this to a bath time for a noticeable decrease in shedding. Playtime: 15-minutes of one-on-one playtime with a staff member. 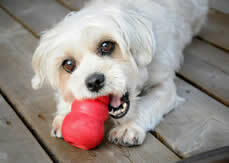 We can do a variety of things depending on what the pet enjoys: throwing a ball, tug-of-war, cuddle time, etc. Playtime can be done indoors or outside in our Central Bark area. Hike: Available at our Westside Bogart location, this perk is very common for our dogs staying in our Apartments or Suites, giving them a controlled way to get daily exercise. A caretaker takes the dog on a 15-minute walk outside of Pawtropolis. It gives them a chance to stretch their legs and get some of their energy out. 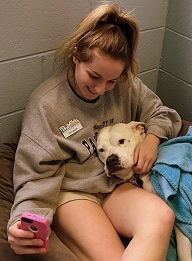 This perk is for dogs that have already passed the Playgroup Compatibility Evaluation, but would prefer to spend their overnight time in the Apartments or Suites instead. 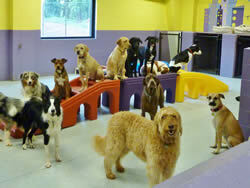 You can add on a 3-hour block of daycare playtime with the other dogs. Full-day daycare add-on is available for $16. PCE must be completed PRIOR to the board dates. Cats need special attention too! The staff will spend 10-minutes of one-on-one time, brushing, playing with a toy or whichever activity that each cat prefers. We have lots of ways to pamper your pet in our Pet Salon. Check here for our grooming options. Pawtropolis prides itself in having all inclusive boarding. We don't charge extra for feeding special diets, giving medicines or even potty breaks for our individual boarding clients. We offer our guests fleece beds, a quality house food, and lots of staff interaction. 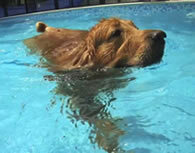 We understand, however, that some pets need a bit more in order for them to feel relaxed and happy during their stay. Our Pet Perks were designed to add even more to the quality of our guests' stay. 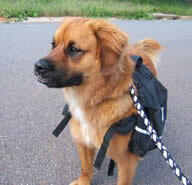 Owners can choose the ones they feel their pet would enjoy the most. By combining what we already offer in our guests' stay with a few parent picked perks, we can make a boarding experience truly individualized for each pet's temperament.